A gusher of late money infuses campaigns of both proponents and opponents of Initiative 732, a proposed carbon tax on fossil fuels that has gained national attention. A gusher of late-arriving cash has infused the campaigns of both supporters and opponents of a ballot measure, the first of its kind in the nation to use a carbon tax to try to reduce the use of fossil fuels that drive climate change. During an 11-day period that ended Oct. 25, a campaign committee formed by I-732 proponent, Audubon Washington, raised more than $950,000 to bankroll media advertising, according to state Public Disclosure Commission records. More than a quarter of that money came from the family of John Arnold, a Houston-based billionaire who founded a hedge fund based on trading natural gas and other energy commodities but who also has been engaged in environmental philanthropy. After that money came in to Audubon, opponents picked up the pace of their fundraising and advertising. During a six-day period ending Oct. 31, the No On 732 campaignreceived more than $546,000 in contributions. Nearly half the money came from the American Fuel & Petrochemical Manufacturers. 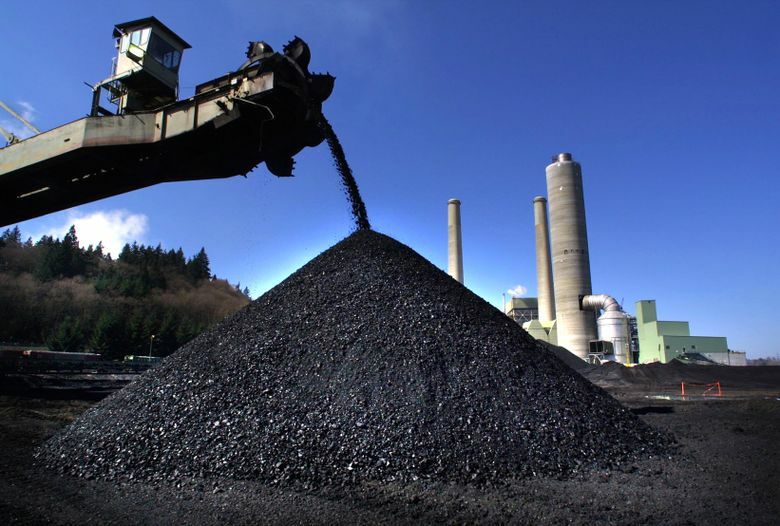 Other big donors included Kaiser Aluminum, Tesoro Refining and Marketing and Puget Sound Energy, which has an ownership stake in a Montana coal-fired power plant that generates electricity that would be subject to the tax. Even with these big donations, the opponents still are being outspent in this campaign. Two opposition groups, as of Nov. 1, had raised, more than $1 million in cash and in-kind donations, while the two proponent groups had raised more than $2.5 million. The donations rolled in as the ballot measure gained a flush of national media attention. Some view the debate over I-732 as foreshadowing a broader national dialogue about how to reduce U.S. carbon and other greenhouse-gas emissions that scientists forecast will spur increasingly severe climatic change. Ballots in the all-mail election must be postmarked or dropped in an official elections-office drop box by Tuesday. I-732 attempts to create a price signal that directs industry and consumers away from fossil fuels by ratcheting up the price year by year. On gasoline, the tax would rise over time from 25 cents a gallon in 2018 to about a $1.00 gallon maximum expected to be reached after 2060. Proponents got a boost from a letter signed in early October by more than 50 University of Washington scientists supporting the measure and last week an endorsement in a tweet from actor and environmental activist Leonardo DiCaprio. But they have failed to gain the backing of most state environmental and labor groups and social-justice groups. In an alliance forged to tackle climate change, these groups have talked about crafting a different measure that would raise surplus revenues that could be used to invest in clean-energy projects. “While no one policy can do everything, we believe Initiative I-732 has significant flaws which combined would make it harder to achieve the goals of effectively and equitably tackling climate change and rapidly transitioning to clean energy,” said a statement from Seattle-based Climate Solutions. State polls have found of a lot of people undecided. A KCTS 9/Crosscut poll in early October found 36 percent of 750 likely voters surveyed favored the measure, 35 percent opposed it, while 27 percent, when initially asked, were undecided. An Elway Research poll taken during a three-day period ending Oct. 22 of likely voters found 40 percent in favor, 32 percent against and 28 percent undecided. Audubon Washington has emerged as a key player in the fundraising. Earlier this year, the organization split from other state environmental groups to endorse the measure. Then, the leaders decided to jump into fundraising after they paid for polling that indicated 40 percent of voters still hadn’t heard of the measure. The No On 732 campaign has focused its attack on the impact of increased fuel and power costs if the measure passes. And they fault the new Audubon ad for trying to mislead voters by saying that polluters will pay for the carbon tax with no cost to consumers. “Proponents have failed to convince Washington voters that raising energy prices on families is the best way to combat climate change. It’s not, and a last-minute advertising blitz won’t change that fact,” said Brandon Houskeeper, of the No On 732 campaign. The No on 732 paid for a consultant’s study to measure the impact of the carbon tax on an average Washington family, and those findings have come under scrutiny by the measure’s proponents. The study, relying partly on state data, initially forecast the measure’s annual cost to an average Washington family at $628 in 2020, and rising each year after that. Last month, that 2020 figure later was revised down to $448 after adjusting for an error in the state data that overestimated the measures effect on electricity prices. But a 30-second No on 732 television campaign advertisement continues to use the $628 figure, without citing a year when that tax burden would take effect. The ad spotlights a woman who identifies herself as a small-business owner and declares the measure will hurt local economies and families who can least afford it. Yoram Bauman, co-founder of the Carbon Washington campaign, disputes opposition forecasts that I-732 would have on the average family. Bauman, an environmental economist, also notes that opposition advertisements do not mention a 1 percentage-point reduction in the sales tax that would help offset the added costs of the carbon tax. The measure also offers tax credits of up to $1,500 for 460,000 low-income families. “We can come very close to being revenue neutral for a typical family,” Bauman said.